PUBLIC ART NEWS: “The City of Augusta is accepting qualifications with the intent to contract with an artist(s) for a gateway sculpture. The purpose of the request for qualifications is to evaluate a professional artist(s) ability to perform the design, construction and installation of the first Gateway Sculpture. The selected artist or artist team will work with the Augusta Recreation & Parks Department and the Public Art Advisory Panel to further develop and finalize their proposed concept. It’s Westobou Week! What will you be seeing? Westobou Festival kicks off tomorrow, October 3 for 5 days of art, music, dance, culinary experiences and fun! 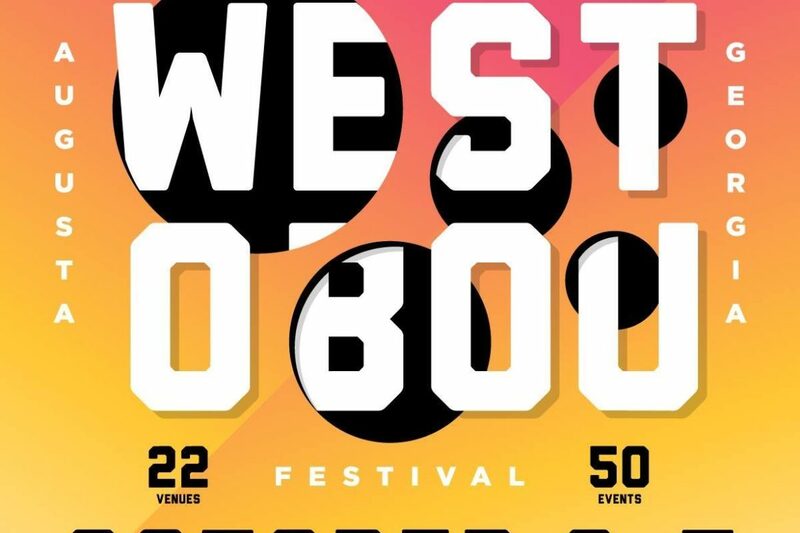 For the first time ever, the Westobou Festival is offering passes that give you access to all of their events – 50 events, in 22 different venues around the city. Check out the full lineup and make your festival schedule online at the link below. Best of Augusta Celebration next Tuesday 6-8pm – Arts Council Members receive 50% discount! Celebrate the “Best of Augusta” with Augusta Magazine & the Arts Council on Tuesday, October 9, 6-8pm at the Sacred Heart Cultural Center! This event features the restaurants and businesses voted the “Best of” Augusta by readers of Augusta Magazine. Ticket proceeds raise funds for both the Sacred Heart Cultural Center and the Greater Augusta Arts Council. Not a Member? To purchase regular tickets online, click here. Save the Date for this year’s Legislative Luncheon, November 8! This year’s Legislative Luncheon, hosted by the Greater Augusta Arts Council, will be held Thursday, November 8, 11:30-1pm. Attended by local and state legislators and leaders of Augusta’s vibrant arts community, discussions are held on economic development, upcoming plans for the future and public art. This year’s speakers will feature an update on Public Art in the CSRA, since the implementation of the City’s Public Art Master Plan, and look to what is coming to the area in the upcoming years.